By completing the NCFE Level 3 Principles of Management course you will have proven you have the knowledge and techniques of a strong leader in the workplace. The course is great for students looking to take the step up in their career to become a manager or those already working in management looking to consolidate their experience with an internationally recognised qualification. The NCFE Level 3 Certificate in Principles of Management is targeted at students looking to gain the knowledge required to work in any business environment in a management role. 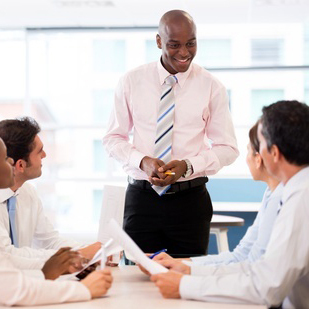 Managers must be able to lead a team of individuals and manage their performance in the work environment, something which this qualification focuses on as well as covering equal opportunities, resolving issues, appraisals and dealing with clients when necessary. Being a good manager means you must be able to manage people. People are what make a company but they can also be unpredictable and have their own agenda. To manage people effectively you must be able to manage workflow and make sure your team feels valued. To ensure this you must be aware and know about legislation and laws for equality and inclusion. This unit will teach you the main principles of dealing with and managing people and their varying needs. Any business with a customer base will encounter complaints and problems. To avoid serious issues, businesses must be able to monitor and resolve issues as and when they arise. There are various techniques and methods to monitor issues and whether they are recurring. If a problem and/or complaint seems to reoccur often procedures must be put in place to resolve them.